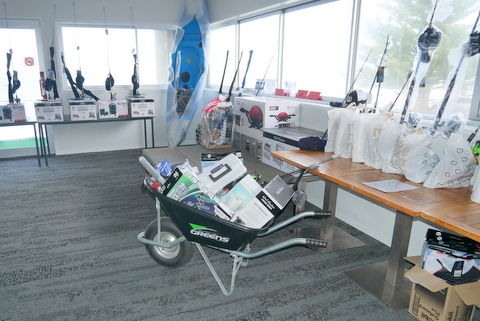 The organisers of the club’s recent Fishing Competition have reeled in $13,000 from the event. The proceeds will go directly to surf club projects in need of expenditure. It was the seventh occasion on which the competition has been held, however, ticket sales were lower than in 2018. Despite the unfavourable weather, it still went ahead. The heaviest snapper, weighing 2.88 kg, was landed by Aaron Lawrie. 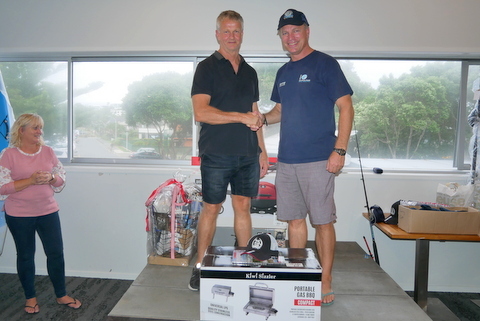 Fishing buddy Andrew Ironside placed second with a snapper weighing 2.715 kg. 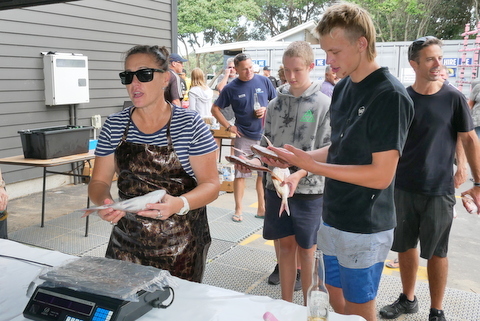 “Considering the gusty conditions we managed to pull off another successful event,” said competition organiser Wade Downey. “There were boats that didn’t go out and congrats to those skippers who knew the limitations of their vessel or themselves. For those who got out, although the fishing was hard out there with a lot of undersize fish around, they still managed a great hall and we had some good ones weighed in,” he added. 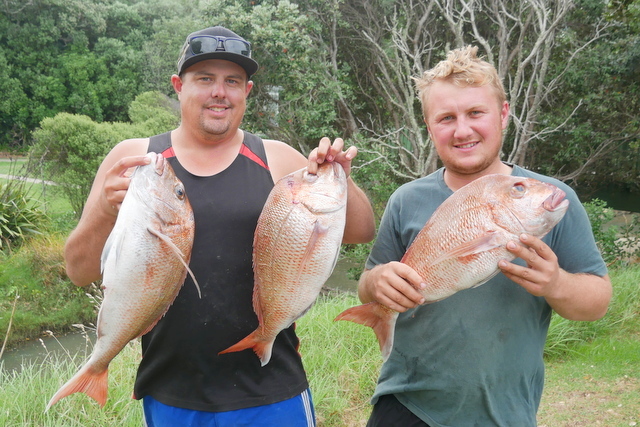 Pictured above ... First & second in the Snapper division, Aaron Lawrie (right, 1st) & Andrew Ironside. 1st & Average – Jenny Gilbertson 0.805 Rock Cod; 2nd – Spot prize. Sponsored prizes in the clubrooms. Dave Goodare, left, winner of the Table Fish category, with competition organiser Wade Downey. 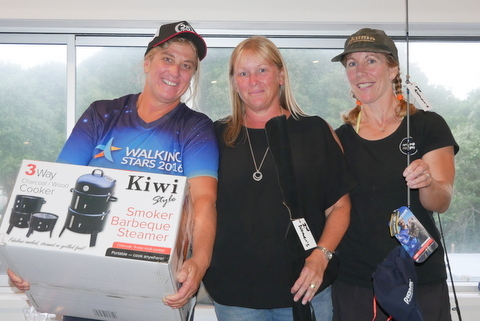 Placegetters in the women's category, from left: Linda Little, Jan Saull, Aileen Michael (1st). 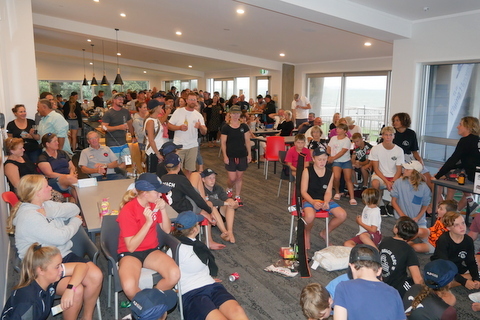 A crowded clubrooms during the prize giving.